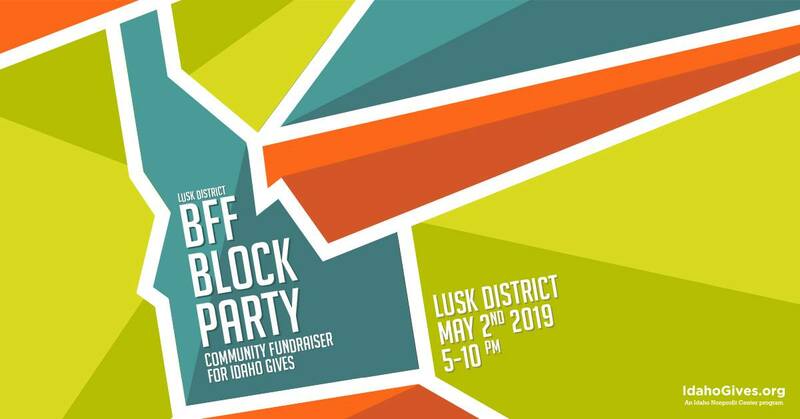 Lost Grove Brewing is closing down La Pointe Street and Island Ave in the Lusk District (between Ann Morrison Park & Boise State) for an all-ages block party for an Idaho Gives Day celebration! Join the celebration of community by connecting with over 50 nonprofits, getting down to live entertainment and filling up on local food & beer. Idaho Gives – a program of the Idaho Nonprofit Center – is designed to bring the state together, raising money and awareness for Idaho nonprofits. This 24-hour day of online giving takes place May 2nd, 2019. Food & Drinks by Lost Grove Brewing, Bittercreek Alehouse, Dawson Taylor Coffee Roasters, MADRE – Boutique Taqueria, The Shed, Sushi Shack, Off The Grid Pizza, Genki Takoyaki, and The STIL. Music by Lounge On Fire, Juice, and MESSIMER. If block parties aren’t your thing but you’d still like to participate in Idaho Gives, hop over to the Family Advocates donation page to give a gift.